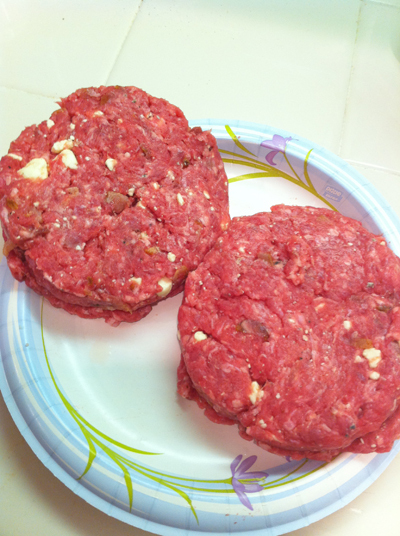 This past Saturday Amanda and I worked on some Blue Cheese Bacon Burgers, and man were they scrumtalescent! We started by gathering the right ingredients. 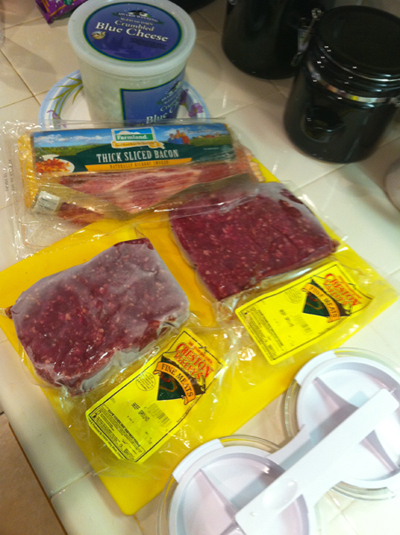 We recently started using “Grass Fed Beef” for all of our ground beef dishes. It is beef from cows that are grass fed, and have not been given and steroids or other enhancers, it actually tastes really good. When the meat has been thawed we combined chunks of bacon (which we have pre-cooked), and well as crumbled blue cheese. After mashing these around for a while we use our handy little patty maker shown above to create some thick patties. From there we throw these bad boys on the grill. While they are grilling we spread a very thin amount roasted garlic mayonnaise on the buns and put them on the top shelf of the grill for a little while to toast them. Once they are grilled up, and your condiments of choice we used a black pepper blue cheese dressing, added some pickles, and a slice of lettuce. 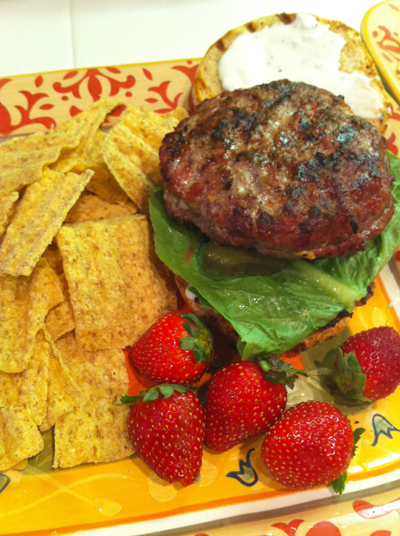 We through in some Sun Chips, and strawberries (to pretend it was healthy) and nom nom nom! 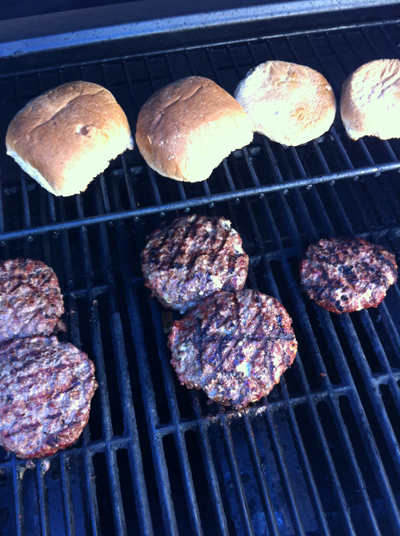 Good call on putting the garlic spread before toasting the buns. I like the combo of the blue burgers with strawberries. Nice!